** Please note, due to a change in circumstances, unfortunately April will not be delivering this workshop. Helen McCormack has kindly agreed to deliver it in her place. In this talk Helen will discuss how to incorporate more herbs into your life: in your food, drinks and fermented diets. Learn how you can prepare for the winter months ahead using herbal remedies, some of which you probably already have in your kitchen cupboard. Herbs can boost your immune system, helping you to ward off the onslaught of colds and ‘flus. Learn how to treat a sore throat, a ticklish cough, how to get the better of a chest infection before it gets the better of you. Get tips, recipes and lots more information on being winter ready. Helen’s journey with plants began more than 25 years ago when I was fortunate to be able to spend a lot of time in the west of Ireland, especially in the Burren, Co. Clare. I became intrigued by the wonderful Burren landscape and its flora, and began to learn about the wide range of plants that grow naturally there and their traditional use in herbal medicine. In 1989 Helen enrolled in the four-year diploma at The College of Phytotherapy (Herbal Medicine) which was located in Sussex, England. This course offered a high level of training for those who wished to practice herbal medicine, and was accredited by the National Institute of Medical Herbalists, the oldest representative body of herbalists in the world. In 2000 she graduated with BSc in Social Studies (specialising in Health and Wellbeing, and Health Promotion) from the Open University. More recently she completed a Masters in Primary Health Care at the Royal College of Surgeons in Ireland. 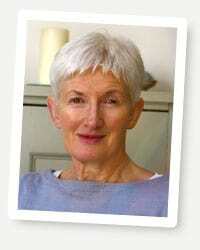 In 2001, Helen was appointed as an herbal advisor to the Irish Medicines Board’s Herbal Sub-Committee and I continued as advisor on subsequent committees until 2011. Helen also trained in stress management and relaxation training, working on relaxation techniques with people on a one-to-one basis or in a small group setting. She runs regular workshops on Herbal Remedy making and combines these with herbal walks through Spring, Summer and Autumn. For more information, or to book an appointment contact helen@homeofherbs.ie or visit www.homeofherbs.ie for the latest news and events updates.